Recently, I've got obsessed with eyeshadow palettes. I don't know where is this coming from, but I can't stop myself from buying one if I really liked it. 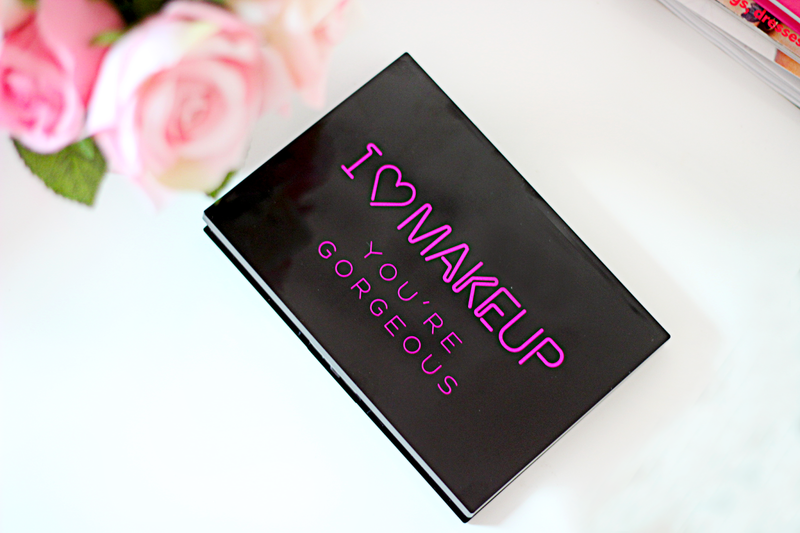 So few weeks ago i have purchased Make up Revolution eyeshadow palette from their I ♥ Makeup collection. I was extremely happy to see that my local Superdrug store have their I ♥ Makeup stand, which you can get loads of different products! So my choice was You're Gorgeous palette which comes in 10 matt and 22 shimmer eyeshadows. Palette cost me only £5.99 for 32 shades, how awesome is that! 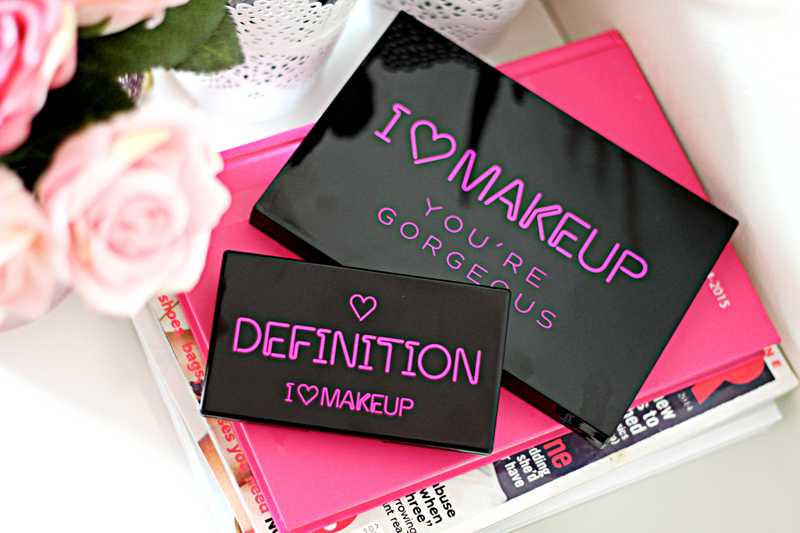 We all know that Makeup Revolution are well known for their great quality products and super low prices. And this palette confirms all of that. Amazing shades, which is mix up of dark and light ones, so you can choose whichever you like. 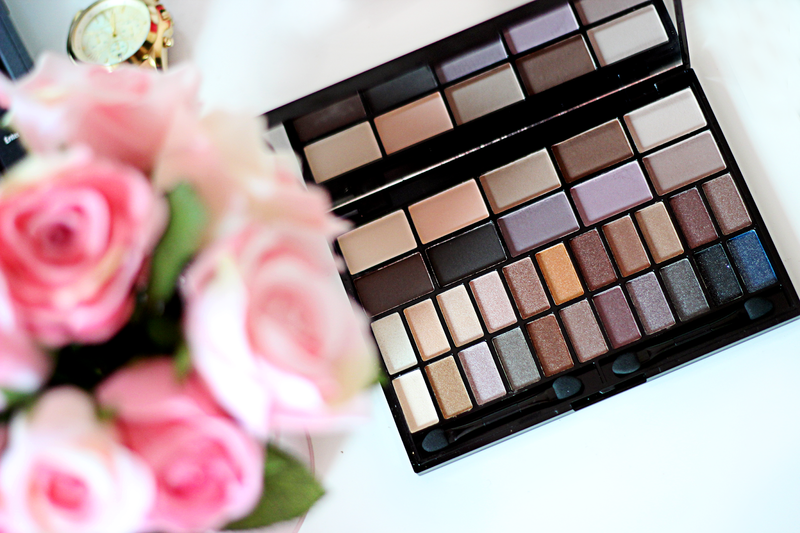 Plenty of nudes if you want to go neutral and enough colors to create gorgeous smokey eyes. If applied with primer, I promise you, eyeshadows lasts you all day! Palette comes with 2 sponge applicators, but I prefer to use my RT brush for application so I cannot comment on the sponges quality. Other than that these eyeshadows are just gorgeous for all different occasions. I would highly recommend to get yourself one of these palettes. 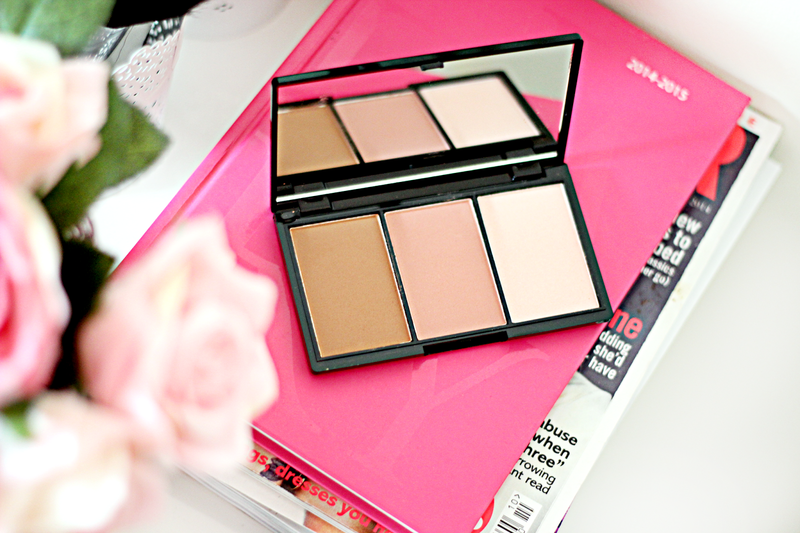 My next pick was contour palette. 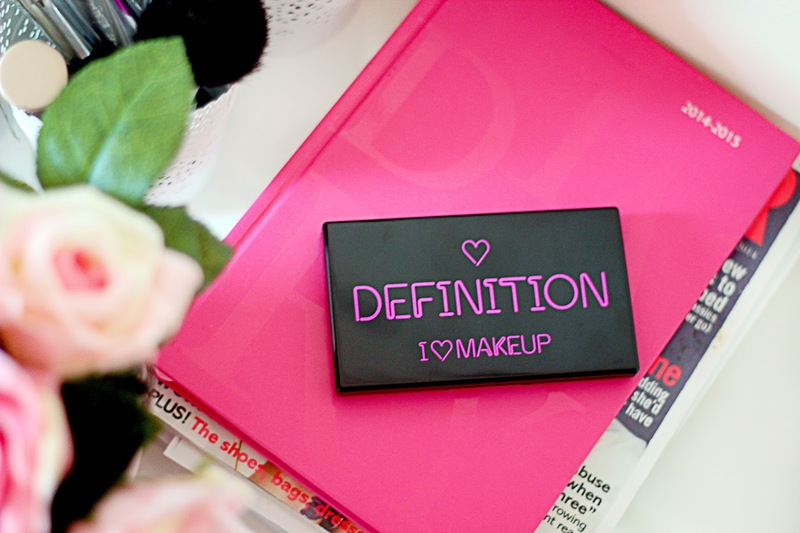 I ♥ Makeup Definition contour kit is great, because it has everything you need in this travel friendly palette. Bronzer, shimmery highlighter and blusher. You can choose from different shades, I have picked Fair. Bronzer is great for contouring as it has no shimmer, it's dark enough, but not too 'heavy' for your face. Highlighter is not too shimmery, it's just gives you very light glow, and blusher has matte effect so you don't put too much sparkle on your face, which I like. All blends very easily. Price for the palette is £4.99. I didn't pictured any swatches, but if you would like to see, please drop a comment below and I will make a quick post with all shades included. The contour kit looks great! I like that they look more matte than some of the other brands.